The Boys at the Read to Achieve Club Are Awesome! Hello, everyone in the blogoverse! 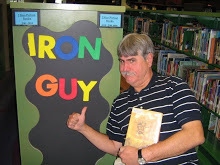 The Iron Guy, that truly MANLY MAN, is always on the lookout for guys who love reading. Imagine how happy he was when he came in contact recently with a whole group of rocking and reading boys in the Read to Achieve club at Eastover Elementary School in Charlotte. 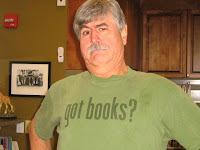 They are lead by the terrific Mr. Merritt, who let me come over and talk about this blog. And when I was done, guess what--they handed me a bunch of reviews of their favorite books! Whooppee! The Iron Guy is always thrilled when boys tell me about their favorite reads and let me share them with all the other boys out there. So let me stop talking and let you see what these have guys read and liked. My favorite book was The Third Wheel because I like when he was in his mom stomach it looks funny and it’s by Jeff Kinney and they had funny words. The Main Idea was about chicken pop’s and Greg was trying to impress this girl. It is about a boy name Gregory Heffley and he wrote the diary in the movies and also he is in middle school. When he was a little Boy he didn’t know what Hecla mean. When he met his brother brother Rodrick a few days after he was born he also figured out how to remove the batteries from the remote. When he was 4 or 5 years old his parents took him out of preschool to skip a grade to kindergarten and he write about when his mom pretty much let him watch whatever he want. That’s all I got bye! This book is good because they have funny words in the book. And some time the book look funny. The book is so funny because they have funny words in the Book. Thanks, guys! All guys like the Diary of a Wimpy Kid books. And you just proved it! Hello my name is Trenton (or Banana Man) and the book I want is Guinness World Record 13 by Scholastics. It’s really about how a person can learn more information on how beating a record and how it’s jaw dropping. I really want this book because it has a lot of pages and there world records which is really awesome. It is about Barack Obama telling kids who they are. And I like this book because it has some nice pictures. Captain Underpants has a lot of action and excitement. It is also funny. I enjoy Captain underpants. It’s so awesome. This reminds me last winter that I had a snow cone and a snow ball hit my top snow cone and the snow ball drop down my throat and I froze to death and the old lady swallowed all the animal in the seas and all the crab. The book that I like is The Cat in the Hat. I like It because he is my favorite and I wanted to be Dr. Seuss. My favorite book is Chima. This book is about animals who drink from a lake called chi. I like this book because it is Adventurous and courages lots of battled. Lots of sword clashing electric motorcycles. There is also explosions. My presentation about my favorite book is diary of a wimpy kid: dog days. I think it is funny and entertaining. 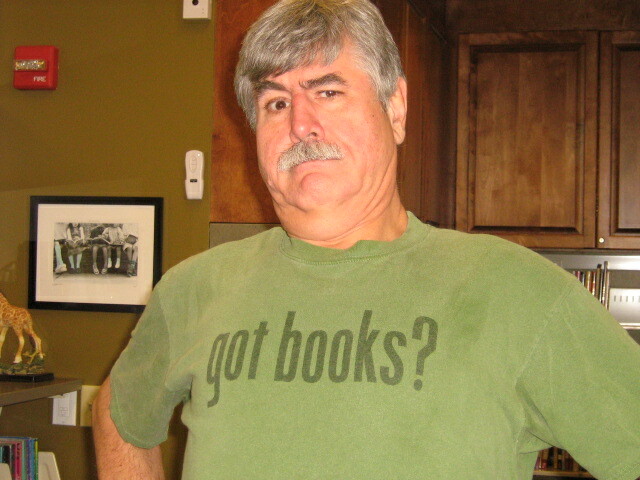 I never read your books, but least I have a favorite book. I guess I will see you tomorrow, bye! Its about three person that Were a Sciencetest. They make Cool thing. When it were thire first day at School. People were bullying them. They didn’t know each other. Then they were going to School a lot. They know each other a lot now. They were Good at Science. The tall man play basketball and the girl was the Smartest girl at School and the little boy was the Smartest boy at School too. So they Team up. They call them the Science Three because they are Good at Science. Thire favorite Subject is Science. They even fight bad guys. They look up for people. They make stuff to fight with. They live in a tree house. They always get A+ on thire Science test. They Study about Science. They make stuff to ride on. They work together with everything. So thanks once again, men,and let me hear from you again. Can't wait!